2. 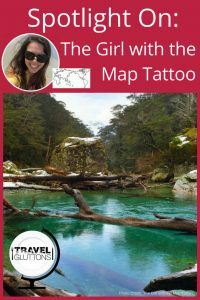 What is your site ‘The Girl with the Map Tattoo’ about? I blog at The girl with the map tattoo about travel and food/coffee/wine/beer. Since I’m based in New Zealand, most of my posts for the last year have been about travelling around the country – from great places to grab a coffee in different cities to “one day in…” which highlights the best of the best in cities and towns around the country. 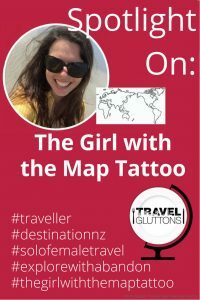 I also post about what its like to travel as a solo female, and I share my tips for travelling confidently. 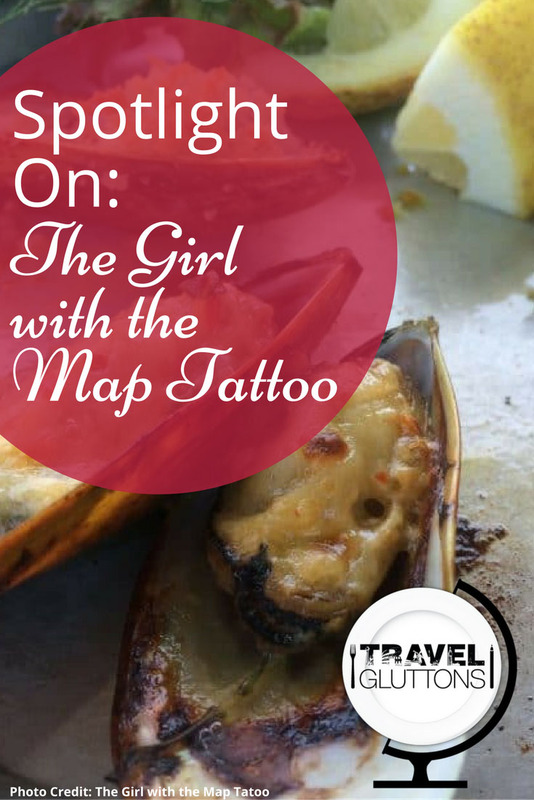 Food-wise, I enjoy writing about easy recipes for on the road foodies, the wine regions of NZ, interesting brews I find in small towns, and more. 3. What is one food tip you would give about New Zealand? 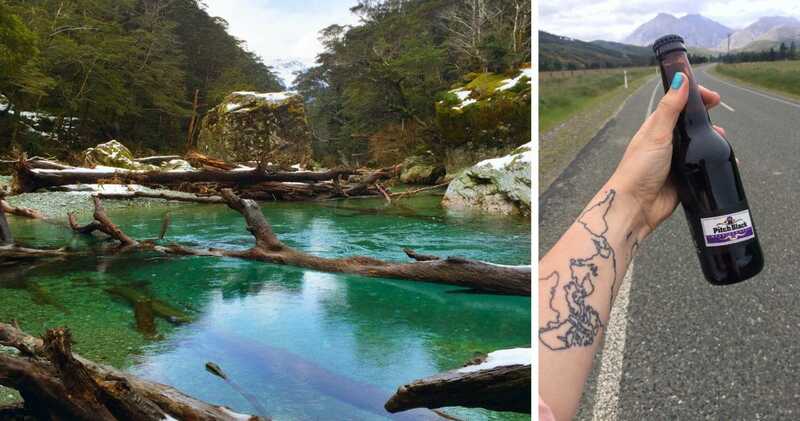 At the moment, I am very much on the road in NZ, from the far south to the far north. This extensive road trip is my final fling with the country (for now, anyway) and so I’m not really in one place. The best tip I can give for the country as a whole is… the fish is fantastic. Every single town is no more than four hours from an ocean, and fishing is a huge industry here. I highly recommend Erik’s Fish & Chips in Queenstown. If you aren’t a fish fan, then don’t worry – the venison is from Fiordland and there are more sheep here than people, so the lamb is also local. And make sure you pair a local NZ wine with your local meal. Whether that’s a Central Otago Pinot with dinner or a Marlborough Sauvignon Blanc with an oyster appetiser, you truly can’t go wrong. Lastly, definitely take the opportunity to visit local cheese factories and/or farmers markets. Most big towns have a market and you’ll interact directly with the farmers/producers themselves. Dunedin has a spectacular market!! 4. 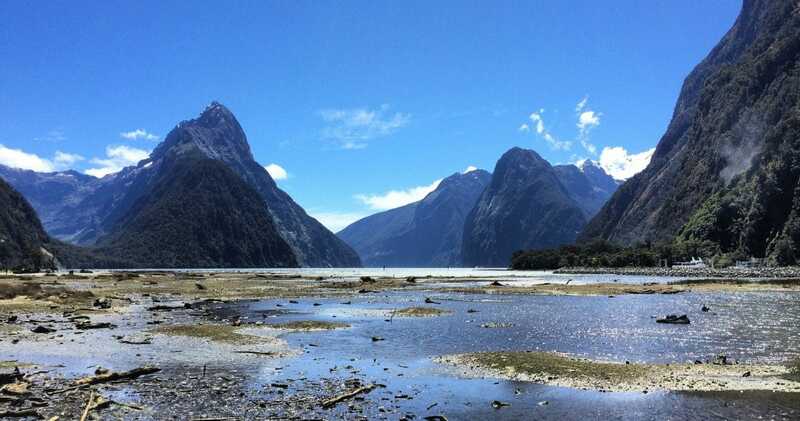 What is one travel tip you would give about New Zealand? Get a car! I’ve relied on the bus system in NZ and while its better than some countries, it isn’t the best – it gets you from major city to major city. If you want to see off the beaten track destinations, you either need a tour group or a personal car. Also, get outside. NZ is known for its stunning, jaw-dropping scenery, not for its charming cities (although they are pretty awesome.) Hike a mountain, track down some waterfalls or simply spend time on a beach. Talk to the locals; Kiwis are friendly people and usually happy to tell you a great spot for dinner or for an afternoon beer. 5. What is the best thing to eat in New Zealand? Again, fish. Smoked salmon is huge down here; you can buy cold or hot smoked. Most restaurants do a salmon Eggs Benny or kedgeree. 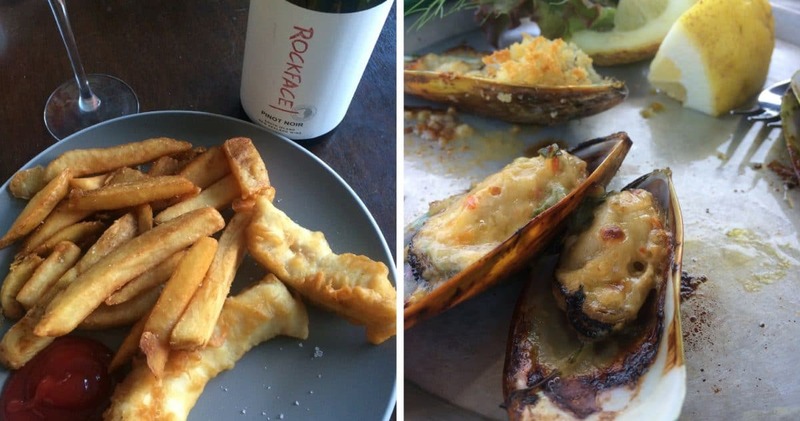 If you are near Fiordland, you have to try the venison or lamb, and if you’re in the Marlborough/Blenheim/Nelson regions, the oysters, scallops, and mussels. 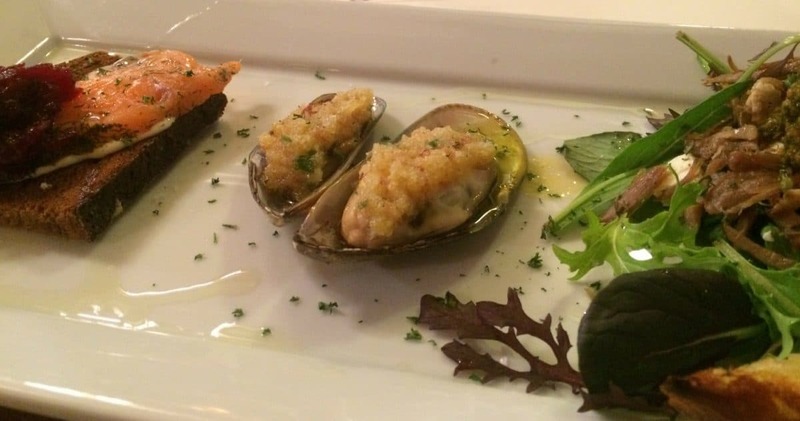 As I write this, I am in the Coromandel (north), which is another hot spot for mussels. Drinks-wise, wine, coffee, and beer are HUGE down here. Every city has its own coffee roasteries, breweries, and wine regions. Kiwis take their coffee and beer very seriously; there are very few international beers (except for “crafty” international beers) and almost no international coffee chains. One Response to "Spotlight On: The Girl with the Map Tattoo"